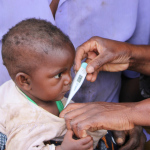 Caring for critically ill mothers and vulnerable infants in Malawi. Our Mother Care Program provides in-home support to critically ill postpartum women. Our Baby Care Program provides nurse visits, formula, and care to vulnerable newborns for the entire first year of their lives. 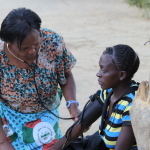 Our in-country partner, Joyful Motherhood, employs nurse-midwives to provide services. Did you know that organizations like AMHI are the most effective recipients of your charitable donations? Read more about meaningful charitable giving in the New York Times.